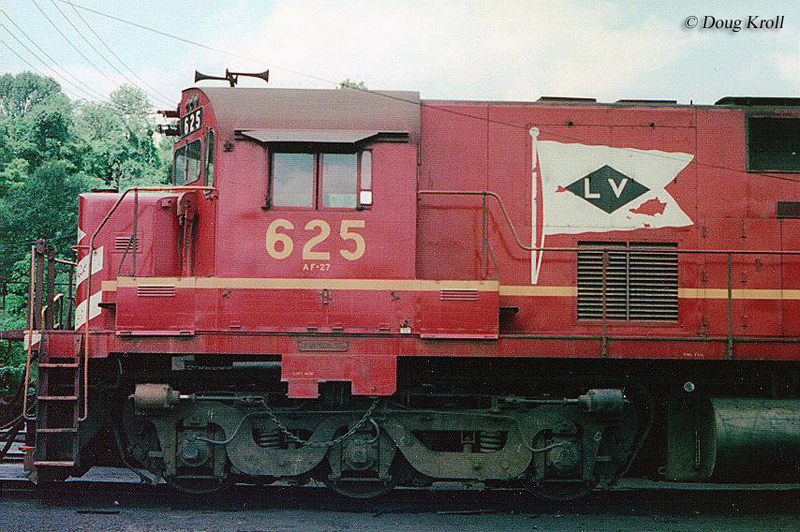 The Alco C628 was the builder's first in its line of six-axle, C-C road switchers. Overall these behemoths were as powerful as they appeared, which is perhaps ironically a significant reason why the American Locomotive Company (Alco) did not sell more of its six-axle Century line. Perhaps most unfortunate was that Alco missed the high horsepower, six-axle market by just a few years as in the early 1970s GM's Electro-Motive Division released its SD40 series which to this day remains one of the most popular locomotive designs ever conceived. In any event, the C628 would prove to be Alco's most successful six-axle Century, selling nearly 200 units. Today, there are three C628's known to exist although none are located within the United States; Delaware & Hudson Railway #610 is located at the Yucatan Railroad Museum in Mexico along with Ferrocaril del Pacifico #606. Additionally, Hammersly Iron #2000 is preserved by the Pilbara Railway Historical Society of Australia. 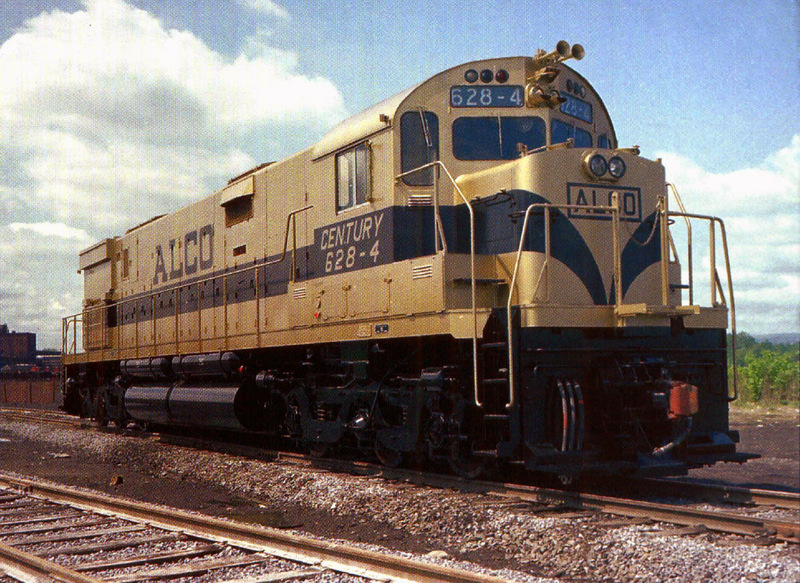 To counter GE’s new locomotive model, the Universal series, Alco debuted its Century series in the early 1960s. Once again, the Schenectady manufacturer was scrambling to try and keep up with the competition, which in the world of business is a very bad situation to find oneself in. While GE's "U-Boats" were not that particularly successful either, given that EMD was not only the most trusted builder at the time but also releasing models that were simply far superior to everyone else, the one-time Alco ally was selling more of them than the Centuries. The first of Alco's six-axle, C-C models was the C628; a powerful, clean design that unfortunately was much more successful with railfans (and still is) than railroads. The Century series also brought out a new numbering system by Alco, replacing the straightforward symbols from before (“RS” for road-switcher, “PA” for passenger and A-unit, etc.) with letters and digits, something roughly similar to Baldwin’s numbering system. With the C628, “C”, of course, stood for Century series, “6” was the axle number, and the last two digits were the horsepower rating. 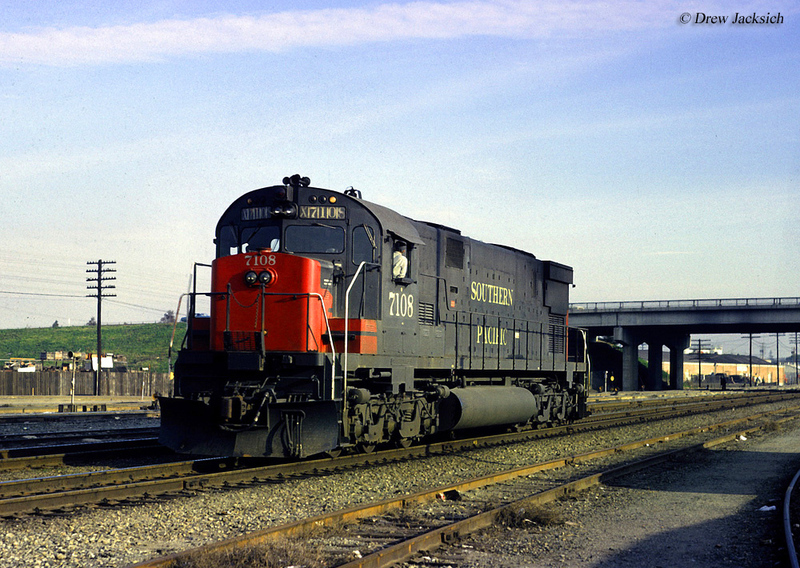 The Alco C628 debuted in late 1963 as a replacement for the builder's RSD-15 line. Using Alco's tried in proven 251C model prime mover the C628 was rated at 2,750-2,800 horsepower and it, along with its successors became legendary for their ability to pull serious tonnage. Unfortunately, as powerful as they were railroads came to dislike them since they caused significant wear to the track structure. This was particularly true for the Monon, which only used their C628s for a few years before selling the units. Ultimately, Alco sold fewer six-axle Centuries than it probably could otherwise have. 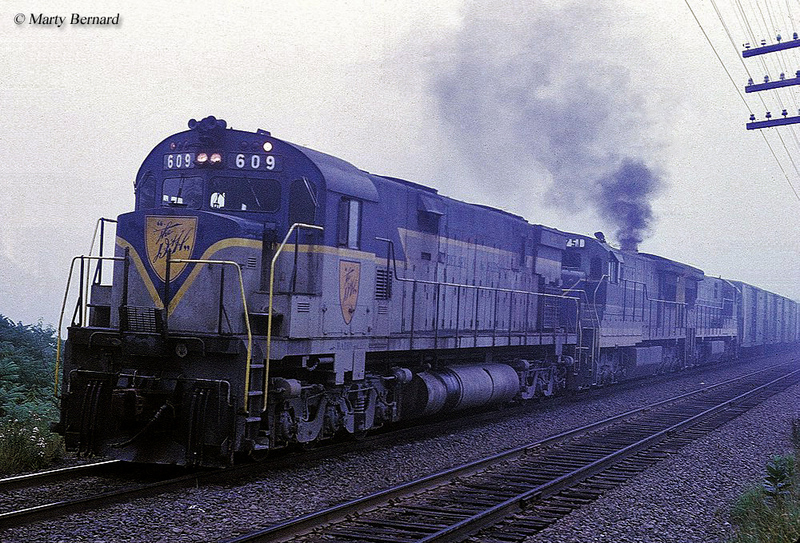 Still, through the end of production in 1968 the C628 sold relatively well for the Century line producing 186 units for several Class I systems such as the Atlantic Coast Line (11), Louisville & Nashville (15), Delaware & Hudson (18), Lehigh Valley (8), Monon (9), Norfolk & Western (30), Pennsylvania (15), and Southern Pacific (25). Additionally, Australian firm Hammersley Iron purchased five, Ferrocaril del Pacifico picked up ten, and its Mexican counterpart National Railway of Mexico purchased 32. Alco also built four demonstrators, #628-1 to #628-4 all of which were picked up by the Southern Pacific. Just as the builder would experience with its four axle Centuries most of the buyers for its C-C designs would be railroads already loyal to the company like the Lehigh Valley, D&H, and N&W as it could attract little new interest after early reliability issues continued to hamper sales. Strangely, even after GE entered the locomotive market itself and competed directly against Alco the company continued to purchase internal components from them. Perhaps most ironic was that components like GE's model GT586A4 main generator could be found in both Century and Universal models. In any event, the Alco C628 up to that time offered the most starting (85,750 pounds) and continuous tractive effort (79,500 pounds) of any locomotive in its class, which is a significant reason why some railroads really liked them. For more information about the C628 please click here. 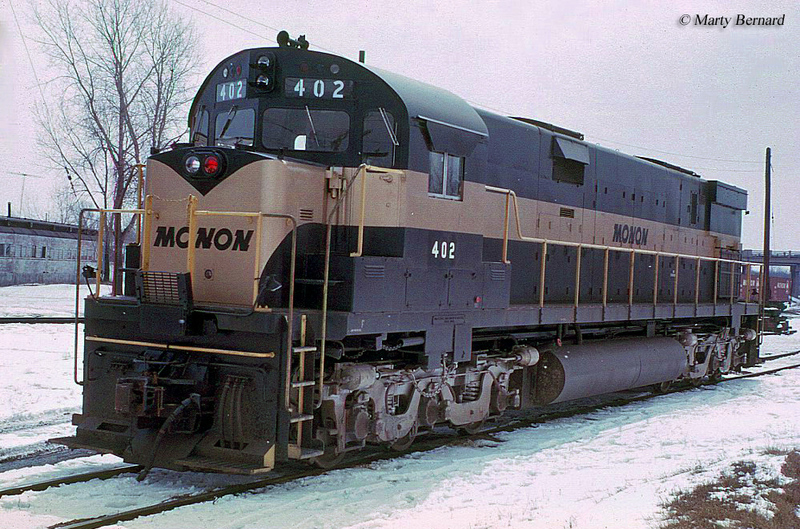 This was especially the case with the Chicago & North Western, which purchased the N&W's 30 units in 1973 finding them quite useful employed in heavy ore service along its lines in northern Wisconsin and the UP of Michigan. They last about 14 years on the C&NW before being retired in 1987. The carbody design of the C628 carried the standard Century look of a long, flush hood and short nose ahead of the cab. The six-axle Centuries were massive locomotives, with the C628 weighing 204 tons and was more than 69-feet in length! To read more about other Century models please visit the Diesel Locomotives section of the site, which can be reached from the top of this page.